Another week, another design prompt! 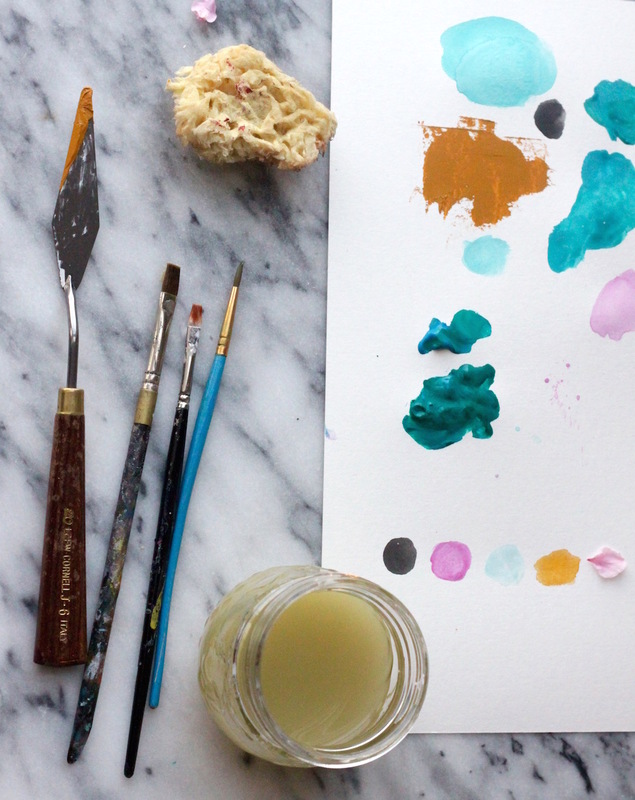 Right now, the spotlight is on all things Marbled. 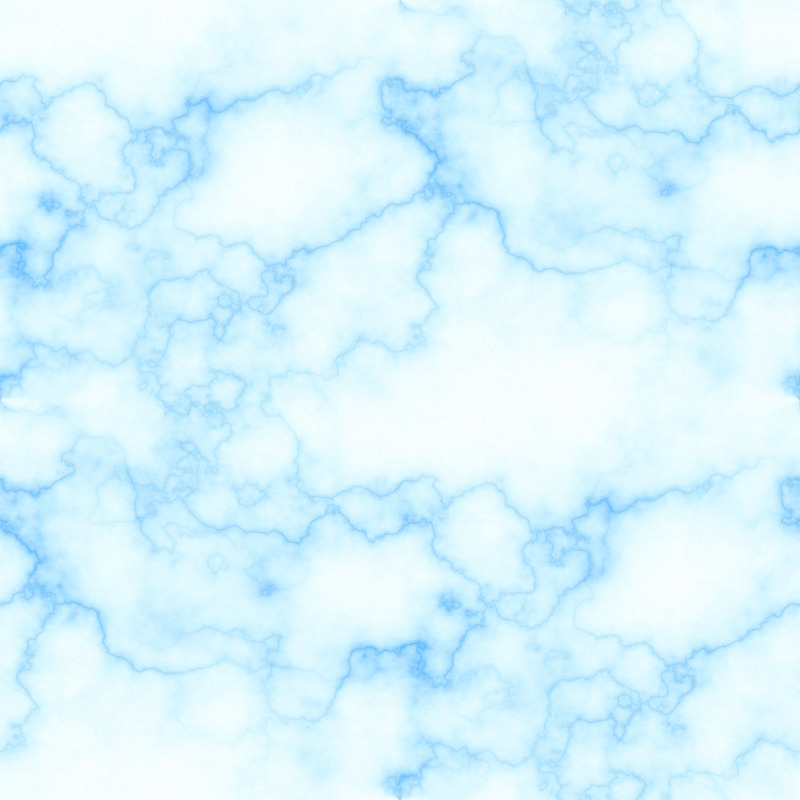 We’ve rounded up a few of our favorites from the #July2016Marbled Weekly Prompt submissions below. 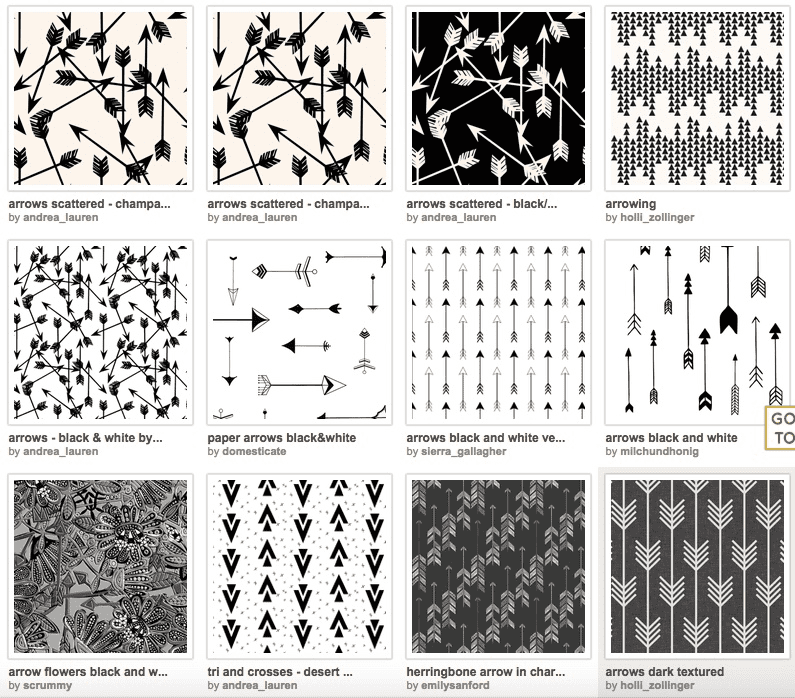 There are hundreds of thousands of amazing designs in the Spoonflower Marketplace, so it’s easy to spend hours scanning through pages of beautiful artwork! If you’re looking for something specific though, narrowing down your options can make it much easier to find exactly what you need. There are a few things that make searching our site even easier including: using descriptive phrases, selecting a search category, using filters, and getting creative with your search terms. If you have a very specific design in mind, you’ll want to use as many descriptive search terms as you can think of. For example, the search term ‘arrows’ will yield very different results than ‘black and white arrow drawing’. You can see how different the results are below. Another great search feature is the search categories menu. These categories help narrow down your search, allowing you to weed out things you aren’t looking for. To use this feature, click the small arrow beside the search bar, select the appropriate category, then enter a search term. 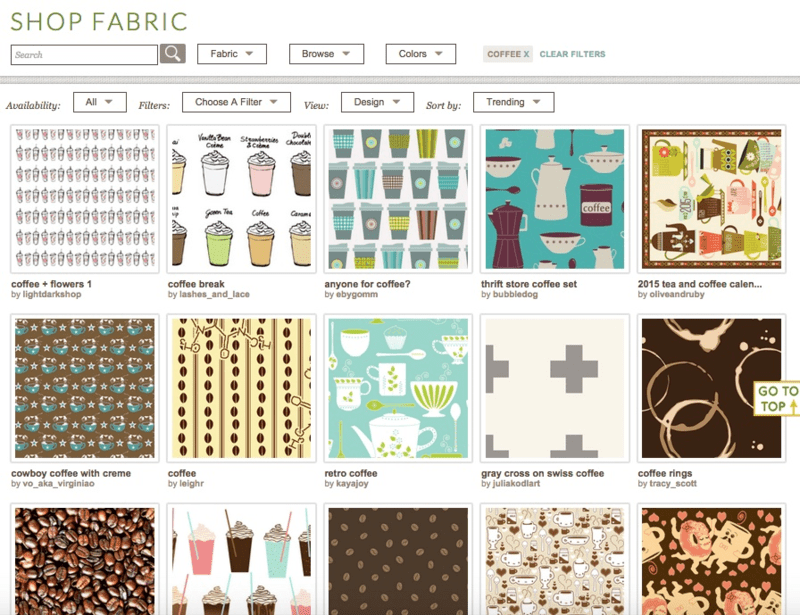 Fabric–designs in the Spoonflower Marketplace that are available on fabric. 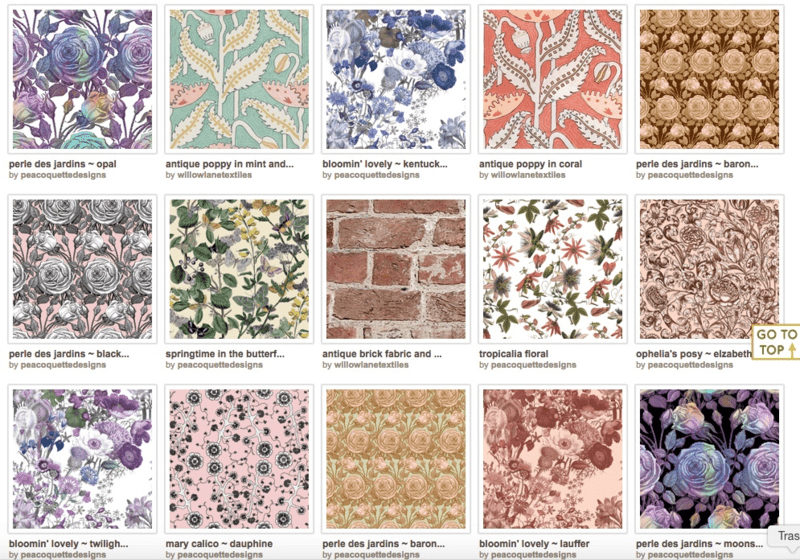 Wallpaper–designs in the Spoonflower Marketplace that are available on wallpaper. 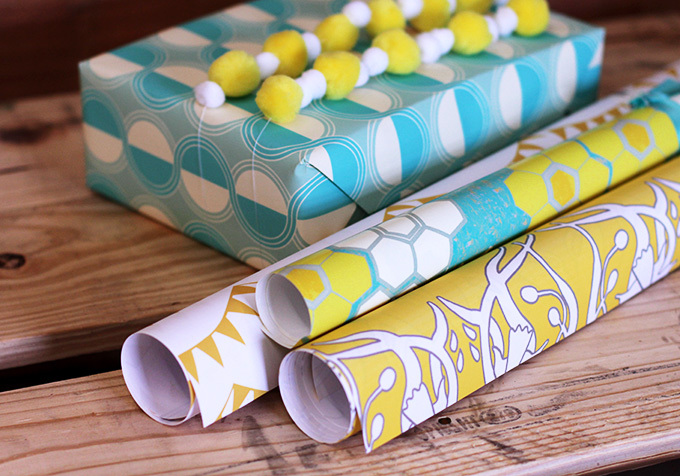 Gift wrap–designs in the Spoonflower Marketplace that are available on gift wrap. Designers–designers (by screen name or real name). Collections–collections of designs in a designers shop. Once you enter a search term into the search bar and click “GO” you will be directed to a new page with search filters. In the example below you can see all of the search filters that appear after you complete a search. 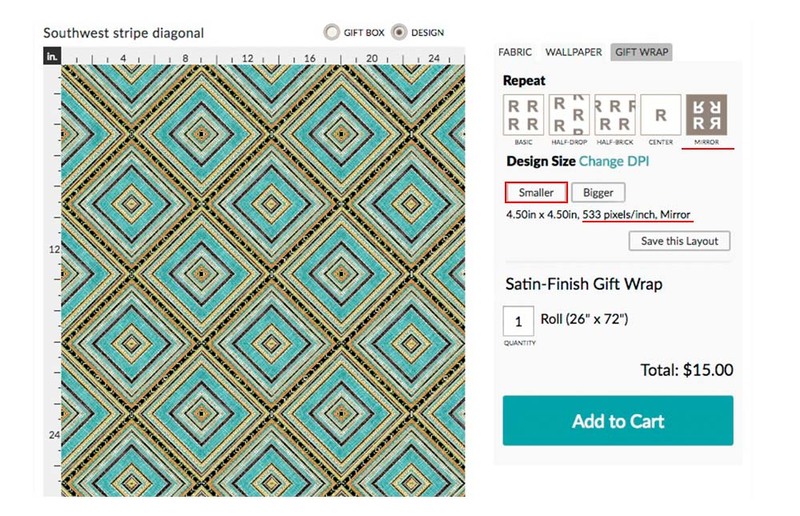 Fabric–allows you to see designs available on fabric, wallpaper, or gift wrap. Browse–allows you to browse by popular tags, trending designs, best selling designs, top contest designs, and daily favorites. Colors–allows you to search by color. 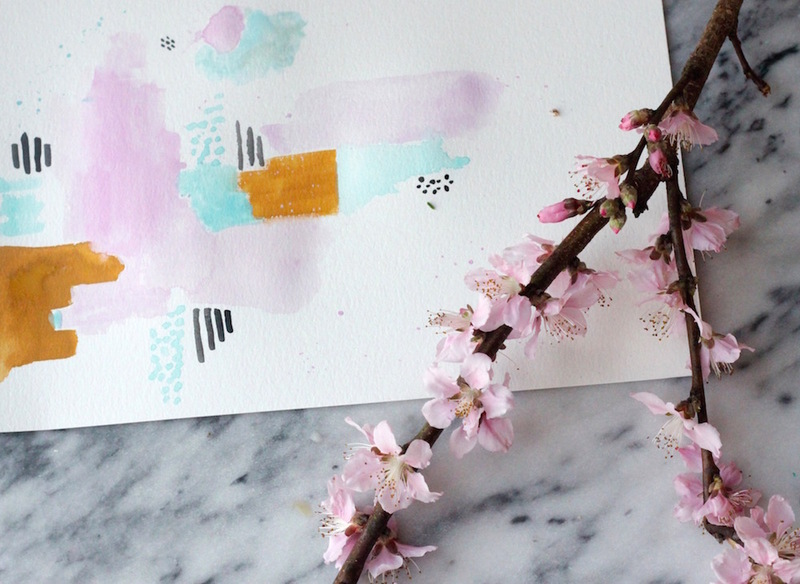 Availability–allows you to search for designs that are for sale or not for sale. Filters–allows you to search within designs you have favorited or designers you are connected to (a.k.a. designers you follow). 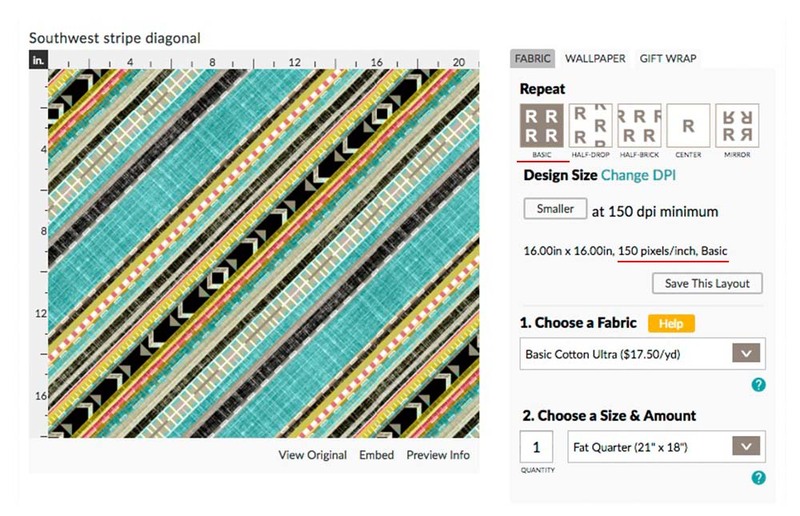 View–allows you to see either the design image, a picture of the fabric, or a project made with the fabric. 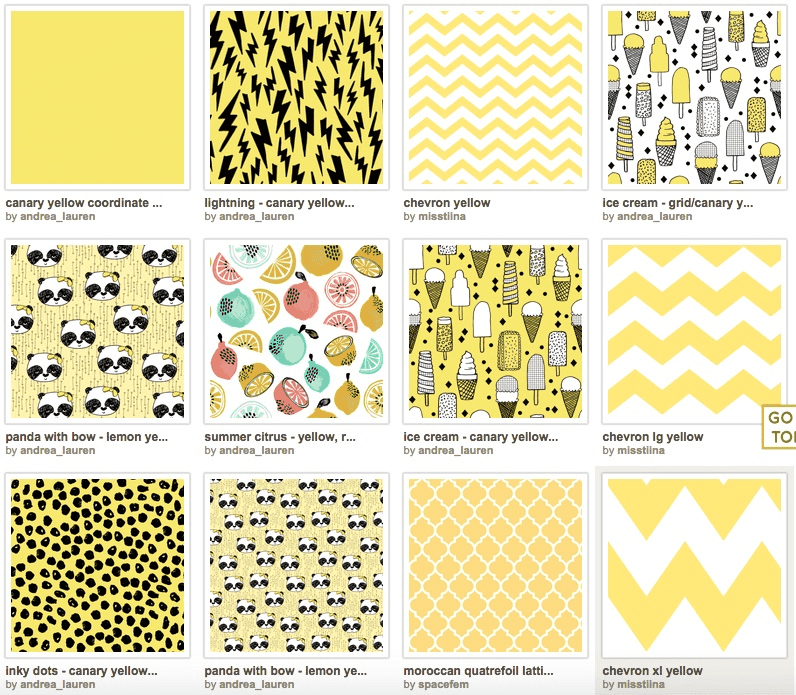 Sort by–allows you to sort the search results by bestselling, trending, or most recently uploaded designs. If you try searching for a specific design, but don’t find what you’re looking for, try some other related words to vary your search results. 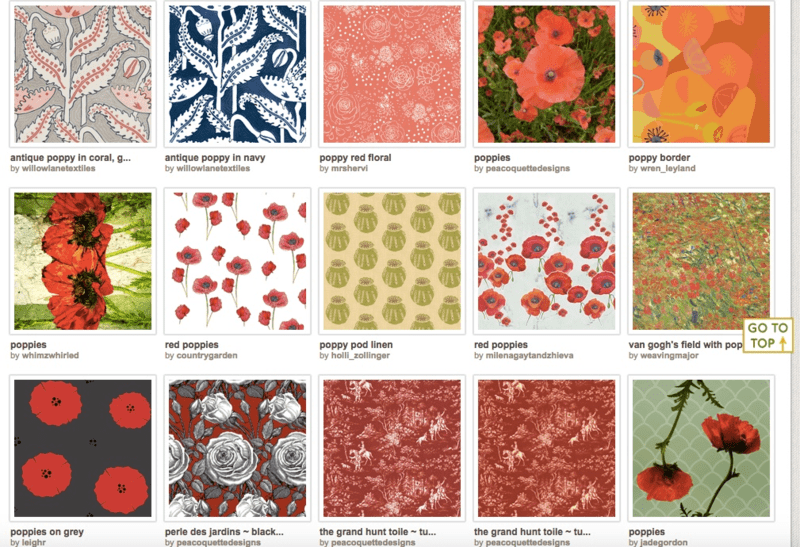 For example, when the phrase ‘antique flowers’ didn’t show the kind of flower I was looking for, I tried getting a little more creative with my wording and searched for ‘antique red poppies’. To match an exact phrase, use quotes to define what you are looking for, i.e. ‘blue china.’ This is a great way to find an exact design for which you already know the name or title. If you are searching for 'old brick wall,' the first results returned will be a match for all three words 'old,' 'brick,' and 'wall.' As your scroll down the returned search results, you will begin to see designs that are a match for just two of the words, perhaps ‘brick’ and ‘wall’ and eventually, designs that might be a match for just one of the words. 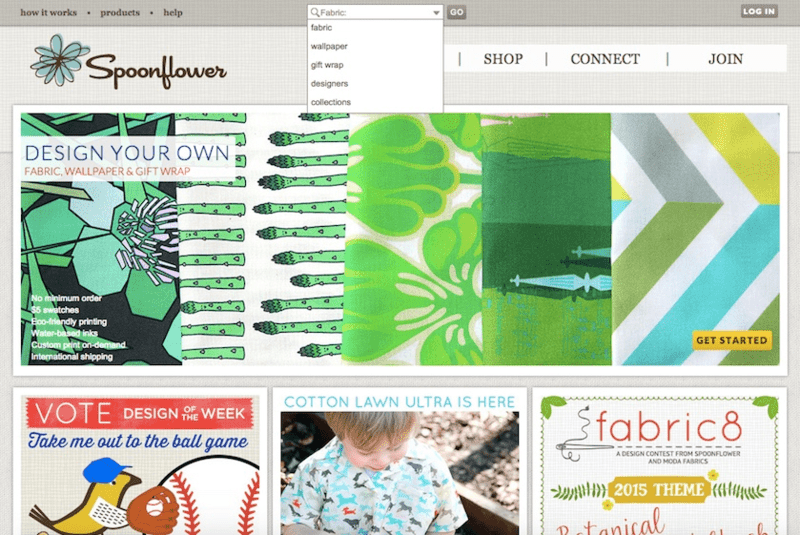 As with everything on Spoonflower, if you’re having trouble finding something specific or need help searching for an item, you can email us at help@spoonflower.com and we are happy to help! 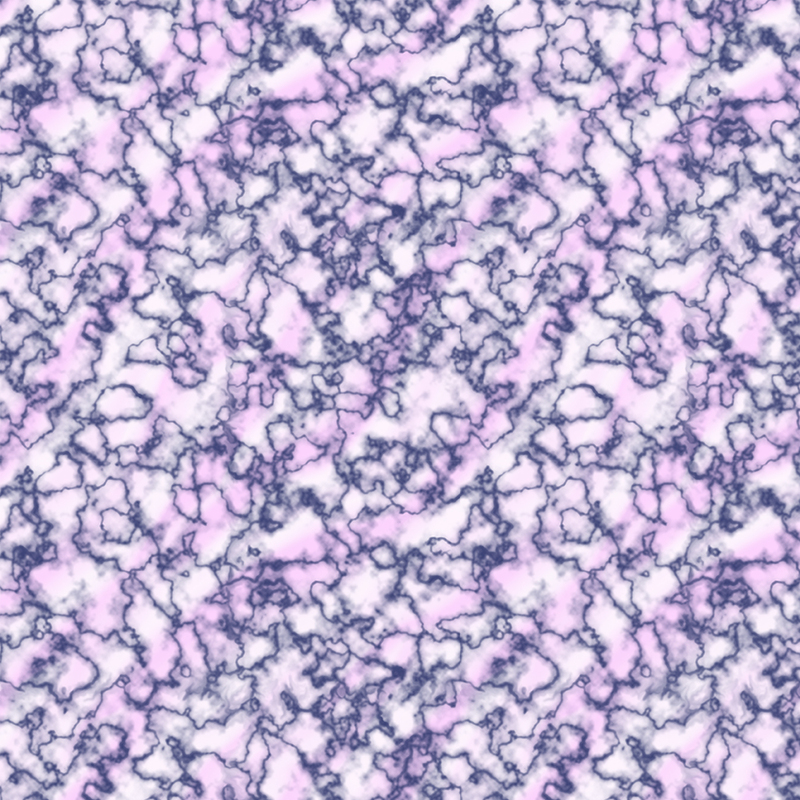 Can I sell my designs on Spoonflower? 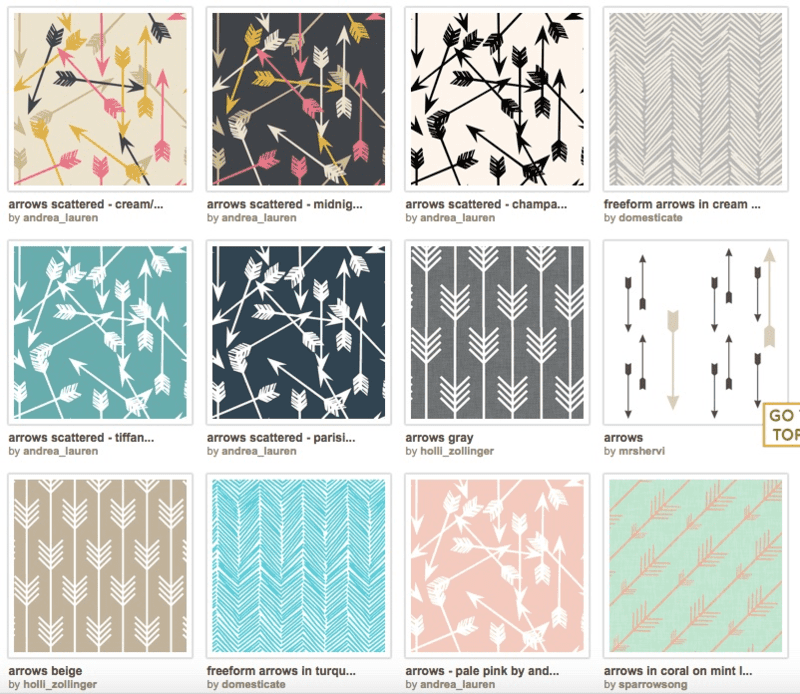 Yes, you can sell your designs on Spoonflower! In order to sell one of your designs on fabric you must become a verified seller, and have ordered at least a swatch of the fabric at some point in order to proof it. Once you’ve done so, you can go to the ‘fabric details’ page for your design and check the box on the lower right to make the design available for sale. 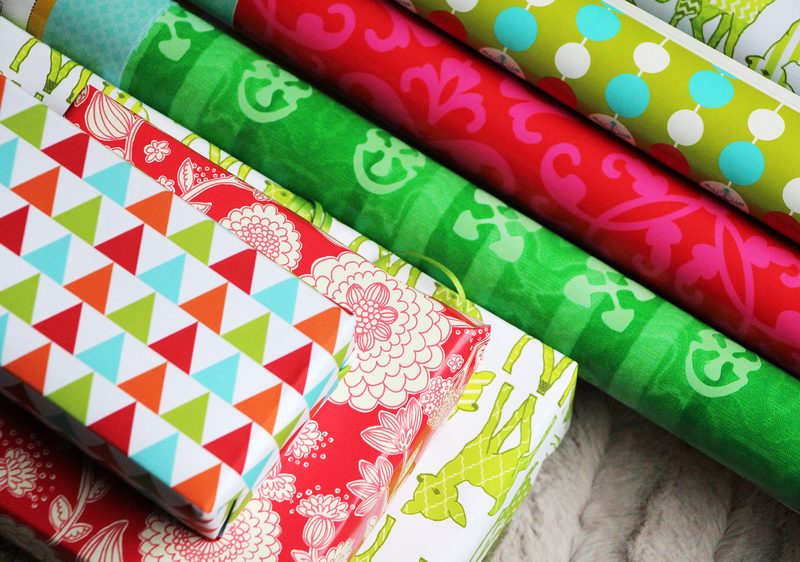 You will earn up to 15% of the selling price (MSRP) for any fabric, wallpaper and gift wrap you sell, per our terms of service. The commission will be credited to your account in the form of Spoondollars that can be used either to purchase fabric on our site or redeemed via Paypal. 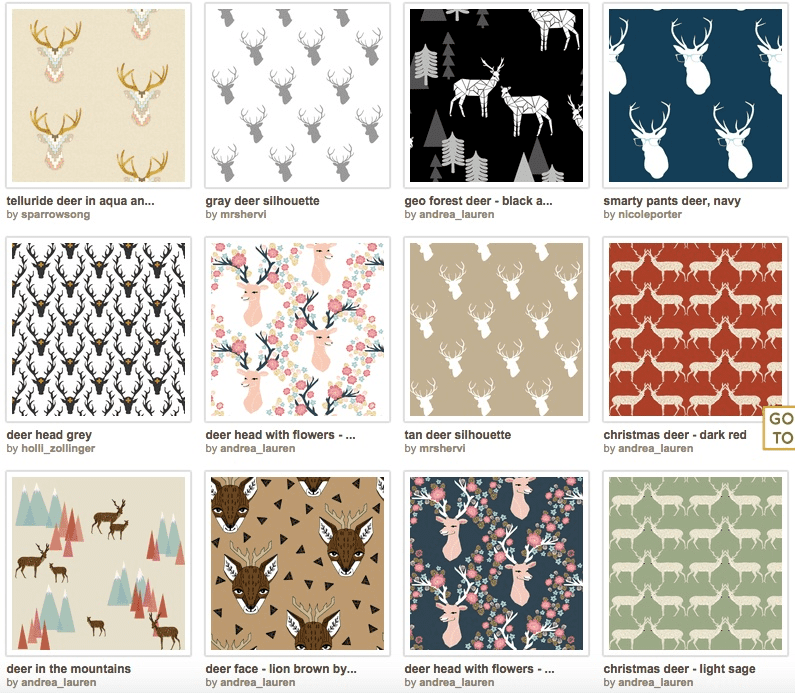 It’s also possible to sell your Spoonflower fabric on your own sites, or on Etsy, as do many independent designers. Displaying and/or selling your designs is ALWAYS under your control. The default settings for any designs you upload to Spoonflower are ‘private’ (not visible to others) and ‘not for sale’ until you make them for sale. included in public user profiles. Our wording here may well leave something to be desired, but please rest assured that we will never do anything with your designs without your permission. Running a web site requires us to modify, copy, display and distribute ALL the content on the site. Selling your design on fabric even just to you requires us to modify it and distribute it. Our system for creating a repeat of your design is actually a process that requires us to render a “derivative work,” for example. I am certainly not a lawyer, so my explanation here reflects a layperson’s understanding of the legal language, but one thing I can say with complete confidence is that we are creating Spoonflower to empower designers, not to exploit them. See our handy seller infographic and learn more here.